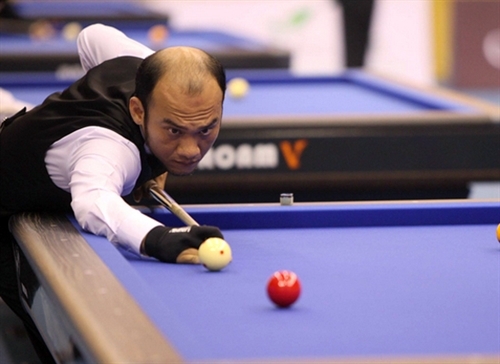 HÀ NỘI — Vietnamese cueists will take part in the Guri Caron Billiards 3-Cushion World Cup in South Korea from August 29 to September 4. All 16 of the Vietnamese athletes will compete in the elimination rounds. Five will compete from the last qualifying round. They are world No 16 Trần Quyết Chiến, No 20 Nguyễn Quốc Nguyện, No 31 Mã Minh Cẩm, No 33 Mã Xuân Cường and No 36 Dương Anh Vũ. The main round gathers the world top 12, five wildcards and 15 qualifying round winners. Guri Caron Billiards 3-Cushion World Cup in South Korea on August 29 to September 4.